The World Health Organization’s Executive Board, currently holding its 144th session in Geneva, is expected to endorse the status of a number of non-state actors (NSAs) in “official relations” with the body. However, a close look at the NSAs seeking renewal of their official-relation status shows that a majority of them receive funding from the private sector – pharmaceutical, food and alcohol industries. This means that if the executive board is going to endorse any of these NSAs, and work with them, the WHO’s Secretariat will need to closely scrutinise them. Their funding and backing will need to be thoroughly examined to weed out potential conflicts of interest, the possibility of private interests being privy to WHO deliberations and of influencing the body’s collaborative work with the NSAs. “Official relations” is a privilege that the WHO’s Executive Board grants based on the recommendation of the Programme, Budget and Administrative Committee of the Executive Board to non-governmental organisations, international business associations and philanthropic foundations who have sustained and systemic engagement in the work of the WHO. The status allows these NSAs to attend governing body meetings of the WHO and certain consultations. The WHO Secretariat list contains four categories of NSAs. The first category contains seven NSAs that are seeking official relations for the first time. The second is a list of 71 NSAs who already have official relations with the WHO and are recommended by the Secretariat for renewal of their status. The third is a list of four organisations whose request for renewal for official relation has been deferred to 2020. The fourth category includes a list of four organisations that may have their official relations status discontinued. 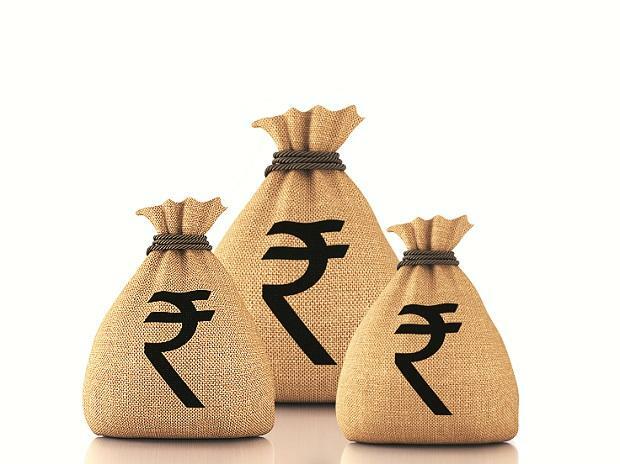 The disclosures submitted by the NSAs in the second category – those looking for a renewal – show that of the 71 NSAs, 46 disclosed income from the private sector. In other words, 66.2% of NSAs seeking renewal of official relation disclosed income from the private sector. Breaking that down further, income from the private sector constitutes more than 30% of the revenue for 24 of these NSAs. In fact, two these NSAs only allow exclusive memberships to the private sector. Twenty four entities declared engagements with the pharmaceutical industry, 21 with the healthcare industry, four with the food and beverage industry, three with the alcohol industry and one with the chemical industry. These NSAs declare their source of revenue under six headings: Private sector entities (including business associations), philanthropic foundations, NGOs, academic institutions, government entities and intergovernmental organisations, including the UN, general public and individuals. They also disclose their type of income under six headings: sales of goods and services (including income from congresses/conferences), grants and donations, in-kind donations, membership fees, investment income and others. Among the seven NSAs in the first category who are seeking official-relations status for the first time, six received income from the private sector and disclosed links with the private sector. Five disclosed links with the pharmaceutical industry. The Royal National Lifeboat Institution, for example, disclosed links with the alcohol and food and beverage industries. The UN Foundation declared links with the chemical, food and beverage, healthcare and pharmaceutical industries. Women Deliver disclosed links with the healthcare, food and beverage and pharmaceutical industries. Formally, the WHO’s Register does not classify NSAs as private sector entities. But because of the long-standing infiltration of the private sector in global health policies, the WHO’s Framework of Engagements with Non-State Actors (FENSA) obligates the Secretariat to identify the real nature of an NSA through due diligence as explained in Paragraph 13 of FENSA. Para 13 allows the WHO Secretariat to find through due diligence whether an NSA is subject to the influence of private sector entities and to apply policy and operational procedures on engagement with private sector entities. Such a determination of NSAs in official relations would avoid the WHO from entering into collaborative activities involving the conflict of interest as part of official relations. This can also help avoid the potential for undermining public health through the promotion of private interest. For instance, the WHO’s collaborative work plan with the International Alliance of Patients Organisation (IAPO) includes the publications of joint articles on patient safety and noncommunicable diseases (NCDs). The IAPO disclosed that they received $628,018 out of total revenue of $641,904 from private sector entities. The bulk of this – $449,741 – was received as grants/donations. The collaborative plan between the WHO and the International Society on Thrombosis and Haemostasis says that the latter will carry out the expert review and endorsement of the final study report containing technical inputs to support the WHO in the development of standards on Streptokinase, Thrombin cultivatable fibrinolysis inhibitor plasma etc. The ISTH disclosed that more than half of their revenue – $2,414,566 – comes from the private sector out of their total revenue of $4,028,673. They also disclosed in the WHO’s register that various pharmaceutical and diagnostics industry partners support their educational activities and meetings but that partners are not allowed to influence their content in any way. But ISTH has not explained the measures they have taken to prevent undue influence from donors. These examples show that WHO’s collaborative work plan with entities receiving funds from the private sector clearly poses a threat of conflict of interest and it may undermine the independence and integrity of WHO. To avoid such a situation, the Secretariat should carry out due diligence under Para 13 of FENSA to find out whether an NSA is subject to the influence of private sector entities. The moot question is whether the member states would intervene to save the integrity, independence and credibility of the WHO. K M Gopakumar is a senior researcher and legal advisor to the Third World Network and Shirin Syed is a legal researcher based in Aurangabad. Published in arrangement with The Wire.